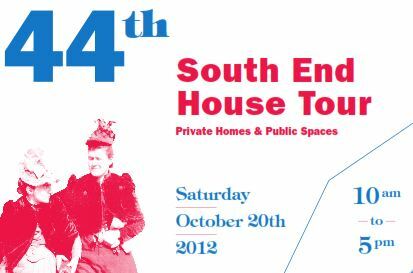 Join us on Saturday, October 20th, as we celebrate our 44th South End House Tour. The House Tour allows participants to tour private South End rowhouses. A perennial favorite with people from Boston and beyond; the House Tour offers a rare glimpse of interiors of unique and beautiful historic homes. 0 Response to "44th Annual South End House Tour - 10/20"